Udaipur has always been a city full of bright and knowledgeable students who are on the lookout to flourish in life. That is why, we at 3i Planet Academy try to provide the best education to the students so that they can excel in quick time. We provide a 6 months internships training for MCA and B.Tech in Udaipur where the course is compact and students who have a time crunch can get enrolled and get over with the course quickly. Our doors are open for all students who have done BE, BCA, MSC-IT, BSC-IT and many others. Opting for the 6 months course enables students to get a certified degree quickly and in turn the chances of getting a job increases. 3i Planet Academy has never taken a back foot in taking challenges and this has encouraged us to make the best study material for all our students. Students who are already pursuing BSC and MSC in IT. Students who are pursuing B.Tech from any other technical university. Students who are in their 2nd year of MSC or BSC in IT, 2nd or 3rd year of their BCA or MCA and students who are in their 3rd or 4th year of B.Tech or BE. Students who are just skill trainees can also pursue the 6 month course. By ensuring a large number of student base, we look to provide this 6 month course to as many students as possible. At a time when getting employed is getting tougher day by day because students do not have enough qualifications, we are providing them a way out through this 6 month MCA or B.Tech training. 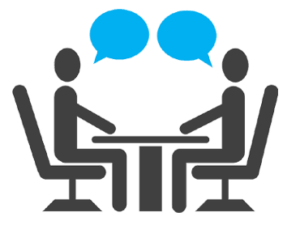 We have often noticed that brilliant students are not able to crack interviews because they get nervous when they are questioned by a panel of board members of respective companies. We have a solution for that as well in the 6 months internships training for MCA and B.Tech in Udaipur. There are separate classes where students are groomed properly to face interviews and succeed in their first shot. We have a panel of extremely talented teachers who can turn the fears of students into confidence quite easily.